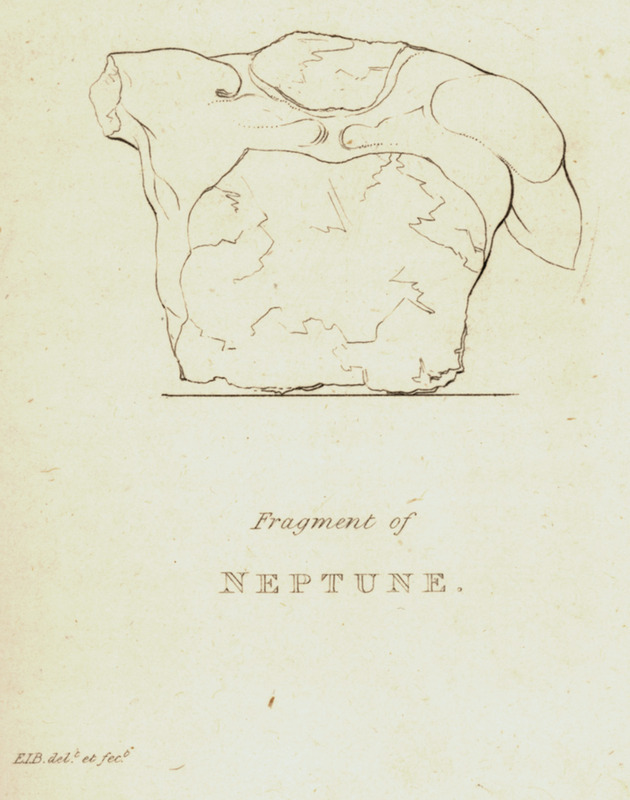 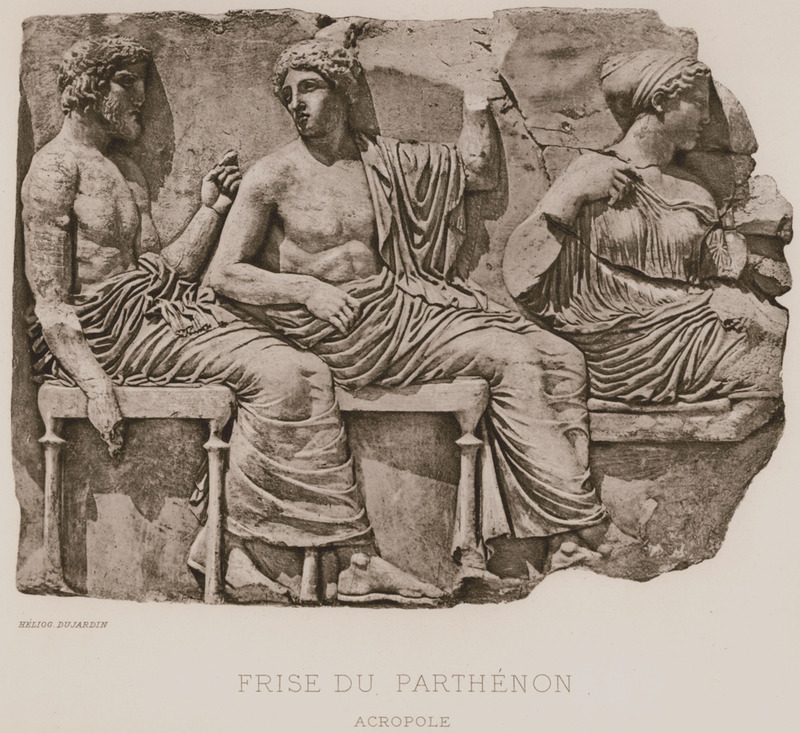 The trunk of Poseidon (west pediment of the Parthenon). 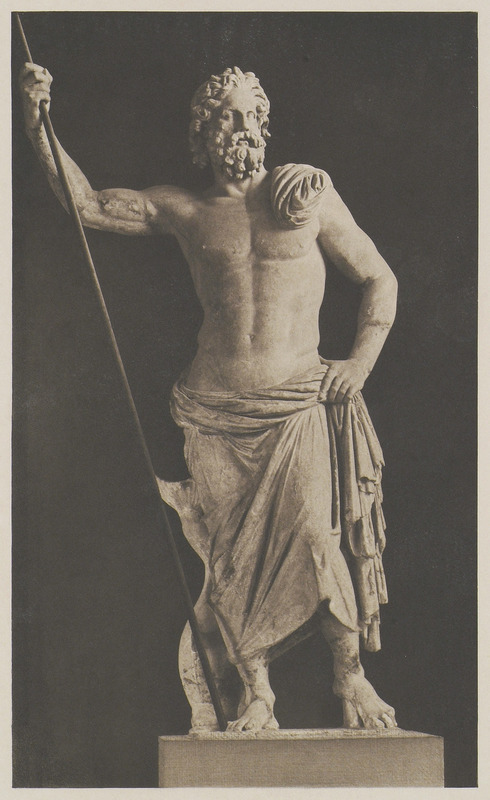 Statue of Poseidon from Milos island (today at the National Archeological Museum, Athens). 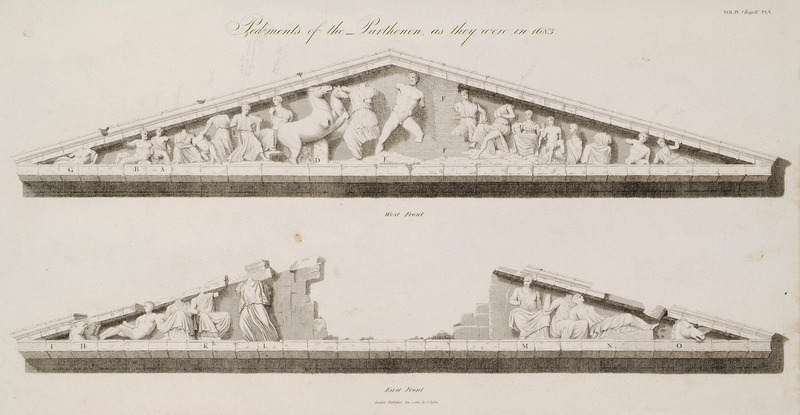 The west and east pediment of the Parthenon, as it was in 1683, according to Jacques Carrey's drawings.